Voluntary Work by Claire A. Everybody got the chance to visit the home of a friend in Mackenzie. We got to know people in our age and could see how families live in a community like Mackenzie. That was a very impressive experience. One day we allowed ourselves to play real tourists. We visited historical places: the 'Slave Tree' around which Arab slave traders held slave markets in the nineteenth century and the memorial site where the former Swedish United Nations Secretary-General died in a plane crash. Our visit at a children's village was probably the most exciting one. We spent a lot of time with the children and gave them what they need the most: Attention and love. Every one of us had a bunch of kids on our laps, in our arms, holding our hands, hanging on our back or on our legs. That was a great picture. The fact that there are so many orphans and even very small babies who have been abandoned made us very sad. Some of us could not enter the house for the handicapped children. This visit was very painful and for some of us tearful but also a wonderful and unforgettable experience. 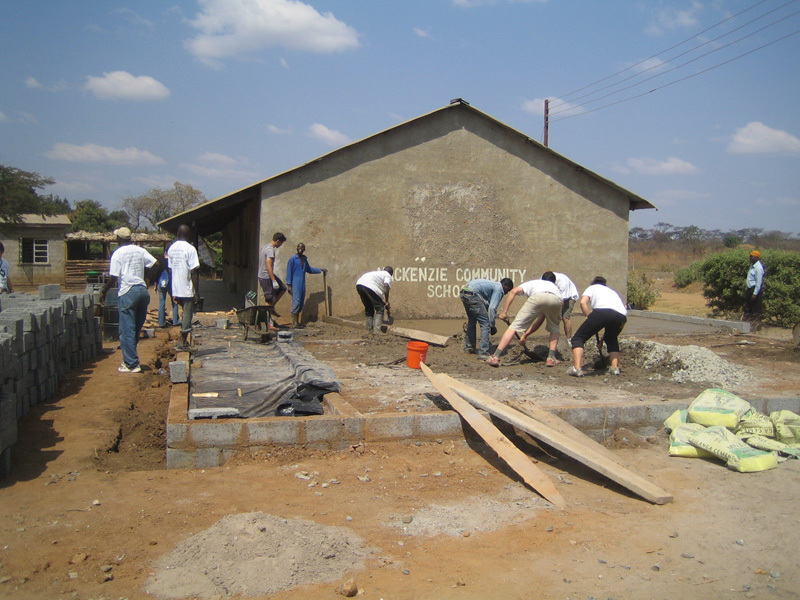 When only the roof of our new classroom was missing we drove through whole Zambia to Livingstone and stopped for two nights in Lusaka, the capital city. There we joined a 'Mini Festival' where we collected trash from the streets to point out the garbage problem in Zambia. In the afternoon we had a soccer game with a lot of music and dance. It was nice as well for us Swiss to see where Will worked and lived in the past few months. In Livingstone we visited the famous Victoria Falls and searched for wild animals on a Safari tour. Some of us did bungee jumping from the Zambia-Zimbabwe Bridge. We had a lot of fun on our Lusaka/Livingstone trip and spent all our money on souvenirs. Negotiating with extremely pushy salesmen was a new experience for most of us. There would be many funny stories to tell about how we got our crafts. Some paid far too much for cheap jewelleries while others got necklaces for free. Some paid with pens, jumpers, mobile phones, pocket knifes or chewing gums and others never saw their change again. For all these experiences the 15 hours bus ride was definitely worth it. 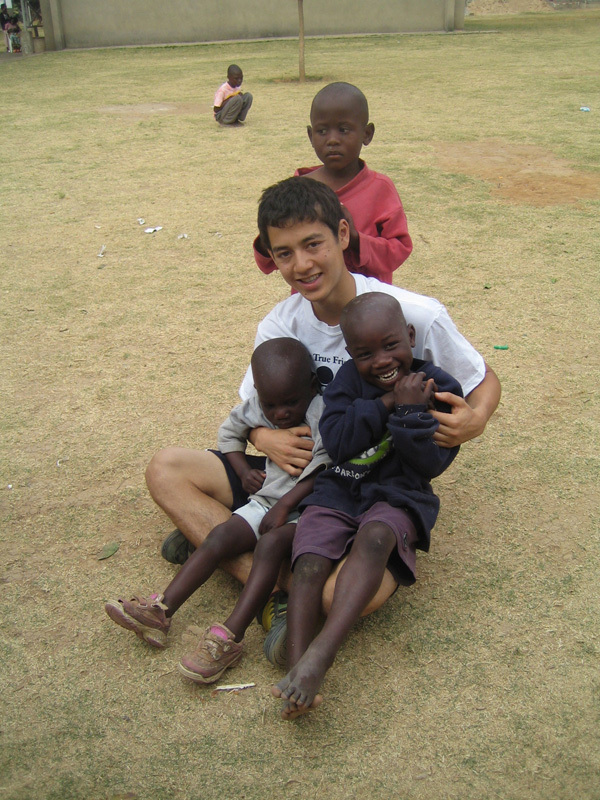 This short time we spent in Zambia was very precious for all of us. It was good to experience how disempowered people live, to hold a child that has lost his parents, to take cold showers for almost three weeks, to play with kids who are so easy to make happy, to get to know a completely different culture and to learn to be grateful for what we sometimes take for granted. For me personally not a lot was new, nevertheless the experience was very different. The joy to see so many familiar faces is indescribable. I could meet again people and children who are very precious to me and be back in a country which became my second home. I think we were a really nice group. We all got on well together and everyone contributed to a successful project. A lot worked out amazingly well and amazingly little did not. When I left Zambia end of November 2007 I never thought that I would be back in less than eight months. Same as last year it was an unforgettable experience.